Solid bamboo crib with geometric patterns and optional folding side. 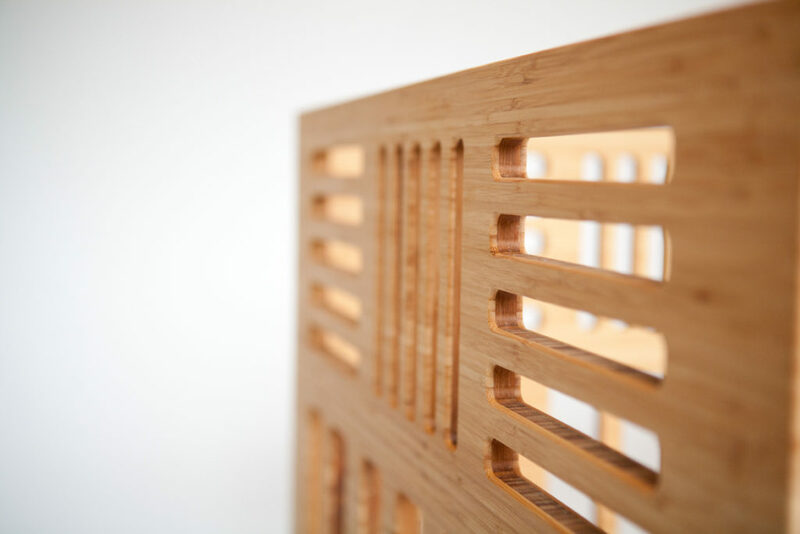 Inspired by our eldest daughter, the Io crib seeks to capture her unbridled and pure imagination, creativity and wild sprit. 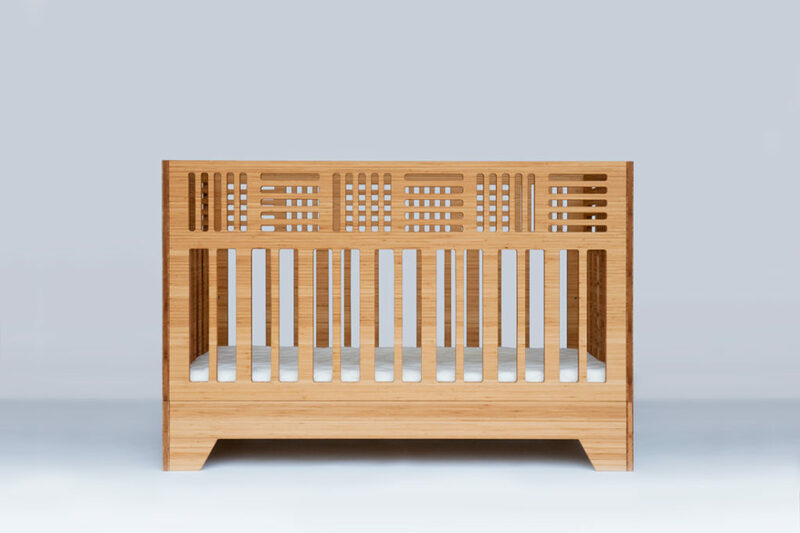 Designed with longevity and flexibility in mind, the crib converts as is to a platform style toddler-bed that can be used as seating well beyond the nursery years. 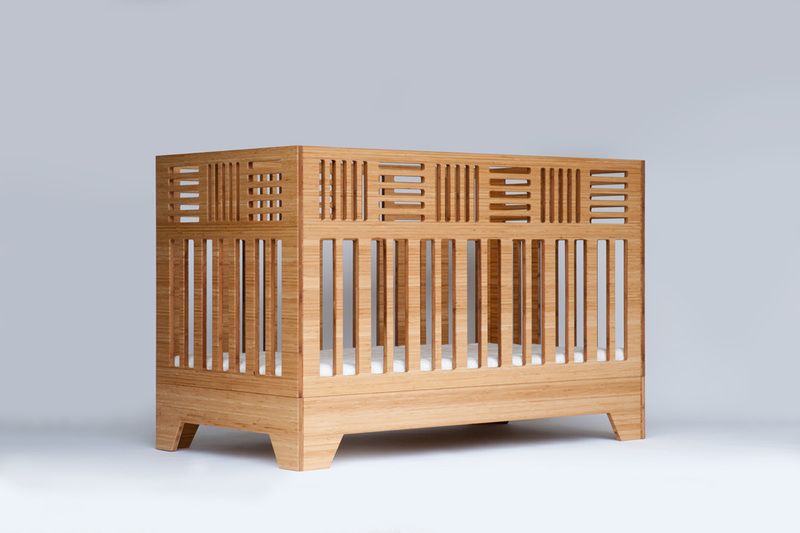 Solid bamboo crib with geometric patterns and optional folding side. 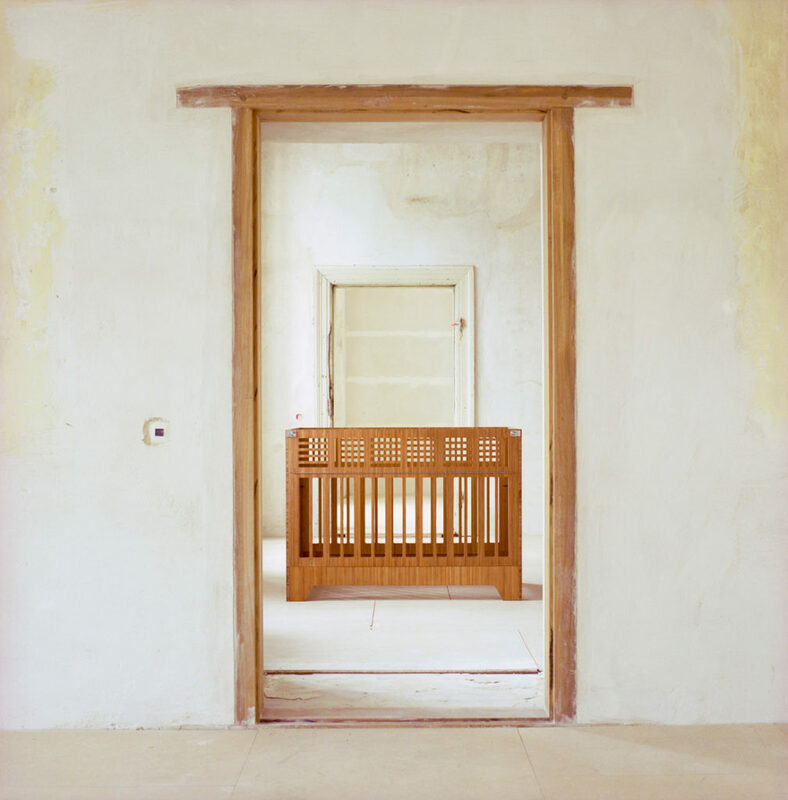 Inspired by our eldest daughter, the Io crib seeks to capture her unbridled and pure imagination, creativity and wild spirit. 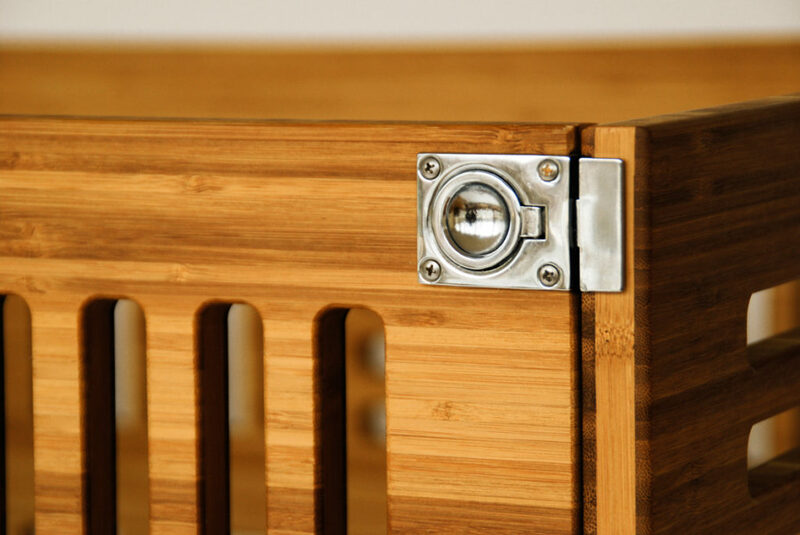 Designed with longevity and flexibility in mind, the crib converts as is to a platform style toddler-bed that can be used as seating well beyond the nursery years. 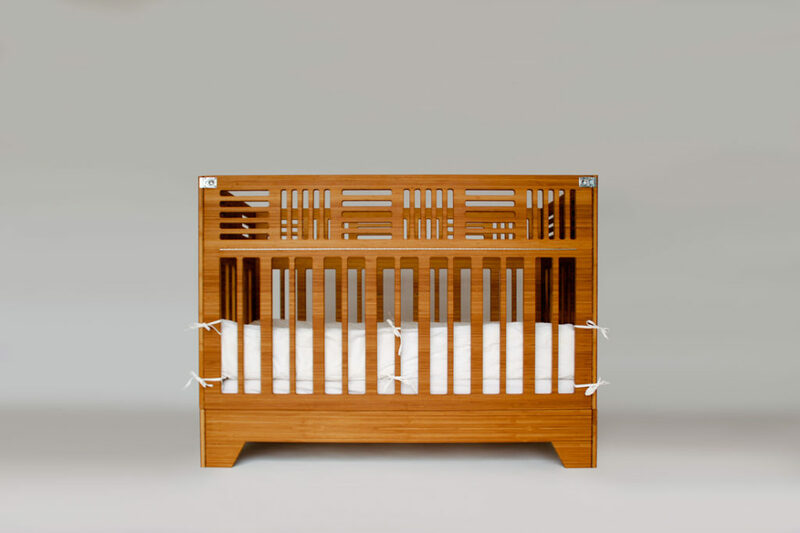 Uncompromising in design and quality, the Io Crib is sustainably made from the highest quality, natural materials in the United States by the finest traditional craftspeople. Pairs with Kalon’s Dream No. 1 Mattress. 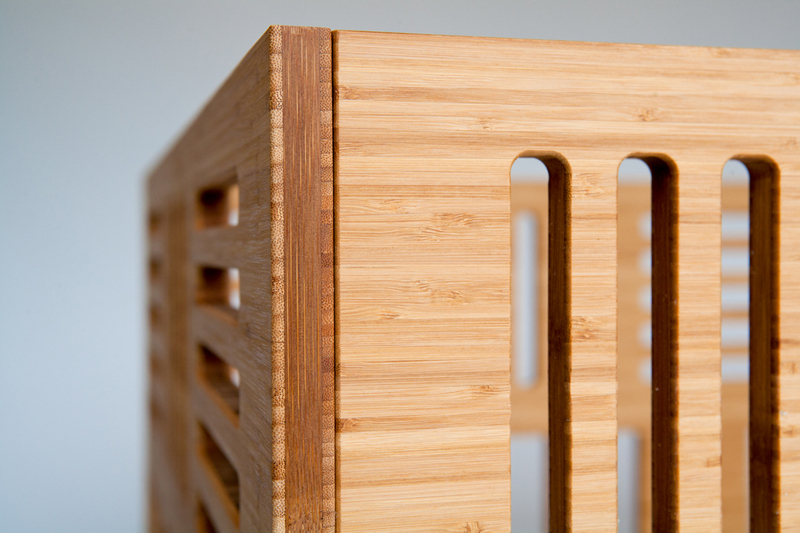 100% Natural, Organic, Made in the USA. 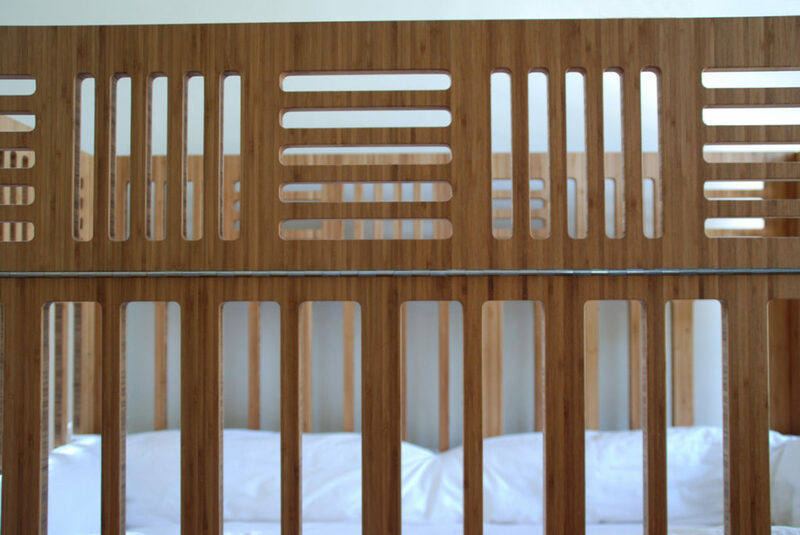 Converts to the IoLine Bed with toddler bed conversion kit. 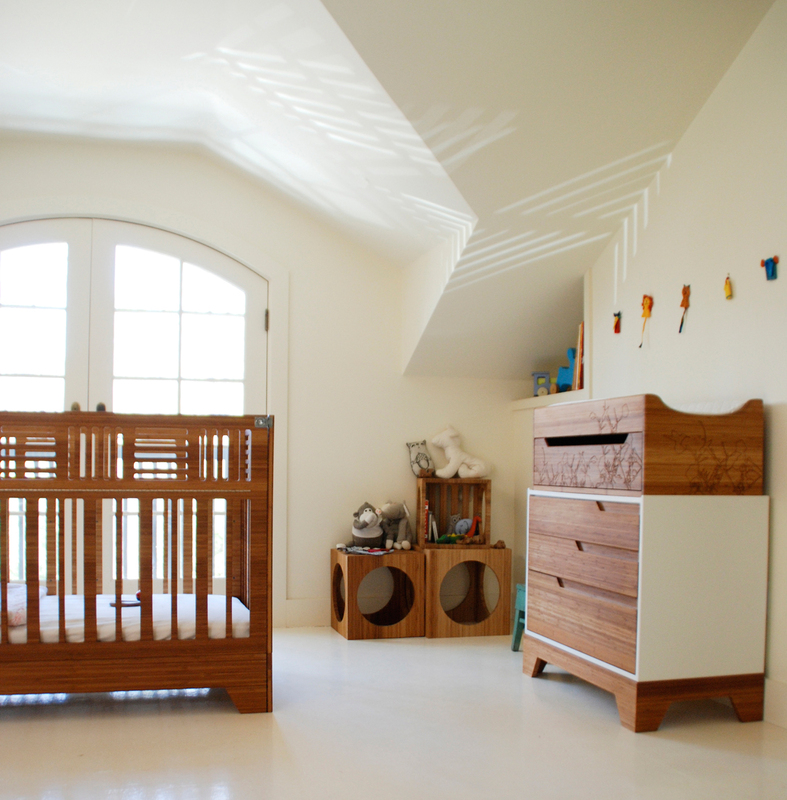 We highly recommend purchasing the conversion kit at the same time as the crib. 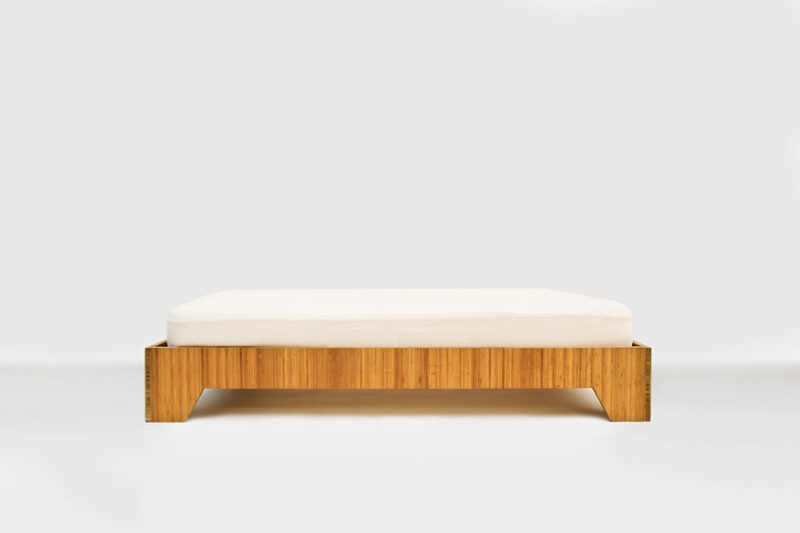 • Io Model: Fixed Side with a 2-Point adjustable mattress height. • Converts to IoLine Toddler Bed with conversion kit (not included). • Mattress support is made from solid, FSC-Certified Bamboo-Ply.